A popcorn fundraiser is an easy win time and time again. Nothing beats the taste of fresh popcorn. Its one of those lovely things that you didn't know you wanted until you saw some being made, and smelt that lovely fresh cooked popcorn smell. And what works for you - works for everyone else too. That's why a popcorn fundraiser is a guaranteed way to make money for your organisation every time. Easy to do - You can invest in a proper popcorn machine or set up a simple DIY option. Inexpensive ingredients - Raw materials are very cheap. Popular product - Who can resist freshly cooked popcorn? 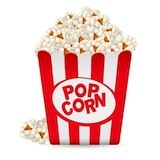 High profit margin - Popcorn will bring in serious amounts of cash for very little outlay. Heat a small amount of cooking oil - Either in a large lidded pan or the "kettle" part of a popcorn maker. To cook the popcorn - All you really need is a large saucepan or stewpot with a lid. Use a hob stove or gas ring (large camping gas rings are ideal) if outside as a heat source. To keep it warm - Either use another large pan, pot, or container that can be left on a heating element. The heating blocks that people use in the middle of the table to keep food warm at dinner parties are ideal. To serve - Either purchase paper bags or cartons from a supplier or make you own cones from paper. 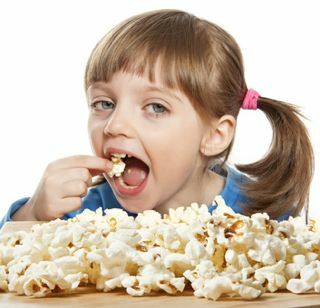 To season it - Some people always have popcorn with sugar. For others only salt will do. Another option is to invest in a proper popcorn machine. There are different models of these but the majority will usually have a metal popping kettle where the popping takes place and a clear glass / plastic stay warm cabinet for the popped corn. There are plenty of companies who will sell you a popcorn machine. Prices start around £400 / $650.This may seem like a lot but a good machine will make you good money at every fundraising event you hold. There are always lots of deals to be had so shop around and try several companies. 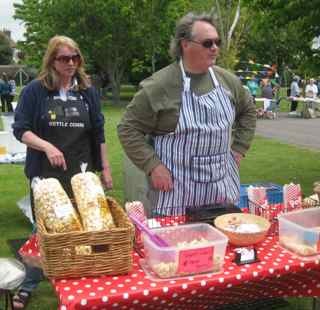 A common option to offset the cost of a proper popcorn machine is to hire it out to other groups and charities. Simply charge a hiring fee and make a bit extra by also offering other popcorn supplies (corn and bags). Hiring is a great option to spread the initial cost. After your machine is paid for every time you hire it out its extra income. But you need to get out there and let people know. Why not make your organisation top of the pops!